Homepage with schedule and planner. Find common breaks with teachers and friends. As students in high school, we see many classmates involved in plenty of classes, clubs, and sports. Almost all busy students struggle with balancing school, sports, and other activities. 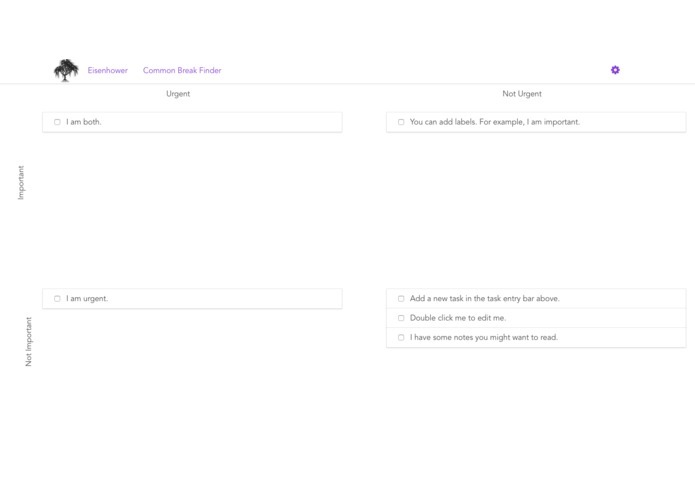 We wanted to create a tool that helps students get better-organized and start learning prioritization techniques, like the Eisenhower principle. We also wanted to create a resource that creates smarter and more intuitive schedules. We often hear complaints about the need for an easy, efficient generator for schedules. 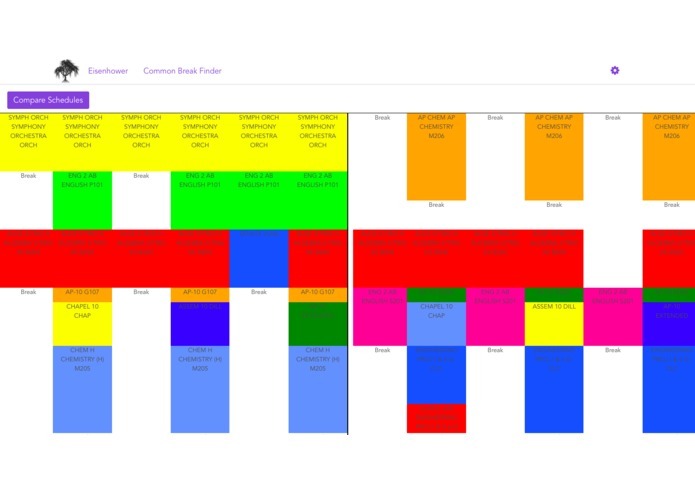 Without such a tool, students have to manually convert the clunky, default schedule into a convenient, customized one. Golden Hala greatly simplifies the process of making and comparing schedules. 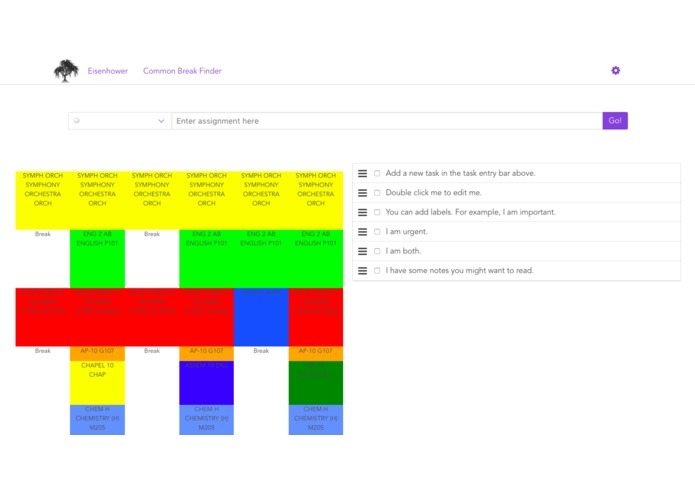 Golden Hala is a smart, comprehensive schedule and homework management platform created for ambitious students. The core of the platform consists of a schedule and a digital planner, but it is the integration of the two data that allows students to be productive and organized. Golden Hala eliminates the tedious logistics and management that gets in the way of the most critical part of schoolwork—learning. We decided to use a frontend framework, which was an area we had not previously explored before. It took a while to grasp the different concepts associated with using a frontend framework. We also learned some ES6 and how to use Webpack to bundle all the different Vue components together. Learning all the different frameworks and libraries within a three-week period was difficult. We had to take several shortcuts to get as much functionality and design done, but our code got increasingly complex as we introduced more features. In this project, we were able to produce a clean, working demo of our application. One of our major accomplishments was the planner, which was created almost purely with Vue. This aspect of the project challenged us because we needed to connect different components of code and libraries. Also, we are proud of implementing the Eisenhower principle, which allows users to mark a task as important, urgent, or both. Lastly, we tackled many new libraries and resources which will act as a starting point for future projects. During this project, we learned how to utilize frontend frameworks, apply effective project management, and practice efficient design thinking processes. Project management is an important aspect of any successful project, and it was crucial in allowing us to decide what functionality we wanted in our app. Our idea required an extensive framework, and we settled for Vue.js because of its abundance of features, but still relatively low overhead. There are many features that we would still like to implement. This product has the potential for flexibility in a multitude of situations. We are planning to push the application out to other schools and organizations so that all sorts of different people can utilize it to become more organized and productive.